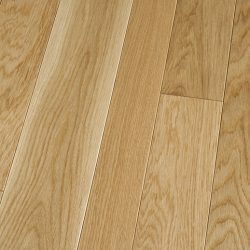 Clear Ash is featured with a clear ceramic finish, highlighting its grain patterns with blondish/brown natural variations. 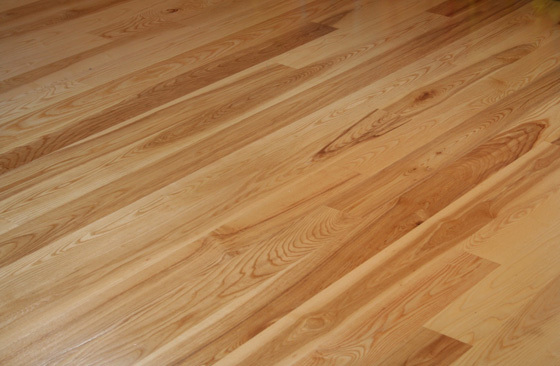 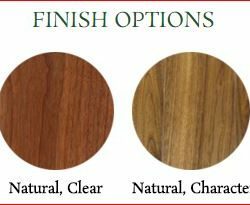 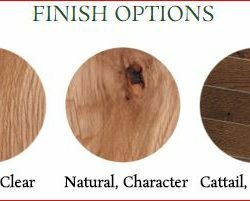 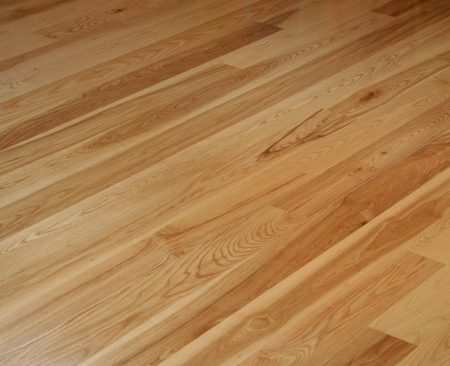 Color of prefinished ash hardwood floors varies from light tan to dark brown and creamy white. 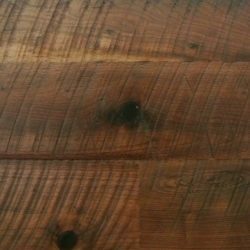 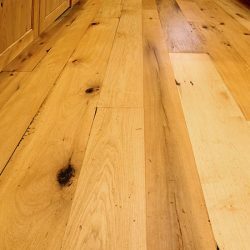 Similar in appearance to white oak, but more yellow. 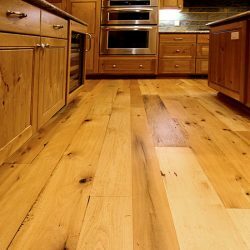 Bold, straight, moderately open grain with occasional wavy figuring. 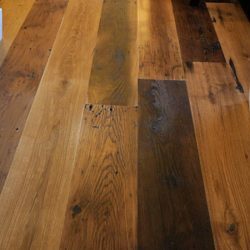 Harder and more stable than Red Oak with good nailing and good resistance to splitting. 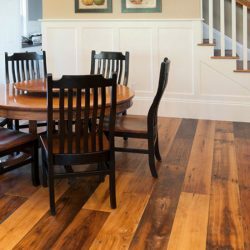 This prefinished hardwood flooring and wood paneling will brighten any room.